Boys Sports Camps: Listed below are the boys camp dates. Girls Sports Camps: Listed below are the girls camp dates. Co-Ed Sports Camp: Listed below are the camp dates. Summer Recreation: This is a fun-filled, 4-week camp for PNGISD students only. 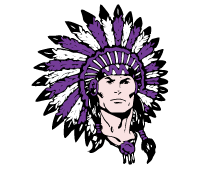 Indians Course Summer Conditioning Camp: Indians Course is for incoming 7th-12th grade boys and girls. This is an 8-week camp for PNGISD students to improve overall athleticism.